Last Chance for Pre-Season Savings! Plan ahead for family fun and save $7 per ticket, good any day during the summer 2019 season! Hurry, pre-season savings end April 26! Buy early and save $7 per ticket, good any day during the summer season! Dine all summer for one price! Dining Passes include 2 meals and a snack each visit! Save before the season - plan your 2019 visit now! Just steps away from the Castle doors, it’s a perfectly peaceful getaway open year round! Know when to go by planning your trip with our calendar. The best way to celebrate your special day! Packages for $6.99 per person. Wonderful Jobs. Wonderful Memories. Apply for an exciting job today! 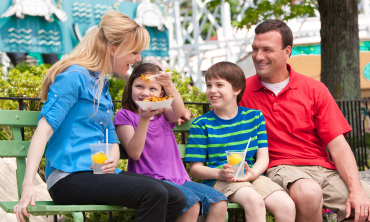 Learn more about what makes Dutch Wonderland the place to spend family time! With over 35 fun-filled rides and attractions, Dutch Wonderland is “A Kingdom for Kids!” Dutch Wonderland is designed for families with young children and offers a host of fun things to do, including rides just for kids! Kids can whirl around with Wonder Whip, become an astronaut with Sky Fighter, or even become friends with a panda on Panda Party. Dutch Wonderland has the best family activities in Lancaster! Join us for family fun in the Kingdom for Kids! Dutch Wonderland will be open from 5pm - 9pm for Dutch Winter Wonderland. Park hours and attraction availability are subject to change without notice. Beat the heat and splash around in Duke's Lagoon! Dutch Wonderland hosts the Nathan's Famous hot dog contest regional qualifier! The top male and female finisher earn a spot at the famous July 4th contest in Coney Island! Before the contest, children will be invited to participate in a special activity! 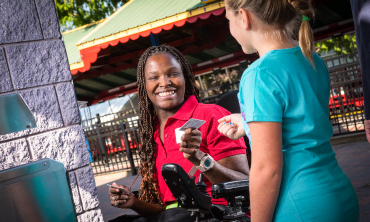 Join us April 27-28 for Grand Opening Weekend, featuring commemorative pins for the first 1,000 guests each day, a special activity and, of course, your favorite rides and attractions! Dutch Wonderland will be open from 3pm - 8pm for Dutch Winter Wonderland. Park hours and attraction availability are subject to change without notice. Dutch Wonderland will be open from 3pm - 9pm for Dutch Winter Wonderland. Park hours and attraction availability are subject to change without notice. This is a private event held exclusively for 2018 season passholders. Learn More. Come see this world-famous contest, held right at the Mill Stream Catering Deck! Learn More. Dutch Wonderland will be open from 10am - 8:30pm. Park hours and attraction availability are subject to change without notice. 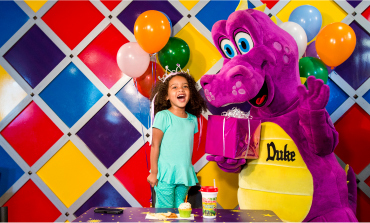 Join us for a birthday party at the Celebration Theater honoring our favorite purple dragon! Learn More. Merlin and his friends are hosting a royal breakfast! Reserve your spot. Dutch Wonderland will be open from 2pm - 8pm for Happy Hauntings. Park hours and attraction availability are subject to change without notice. Dutch Wonderland will be open from 2pm - 9pm for Happy Hauntings. Park hours and attraction availability are subject to change without notice. Dutch Wonderland will be open from 10am - 6pm. Park hours and attraction availability are subject to change without notice. Dutch Wonderland hosts many family-friendly activities and special events throughout the year. Two of the most popular events happen at the Halloween and Christmas season. Happy Hauntings is filled with many different kid-friendly activities such as trick-or-treating and spook-tacular shows! Dutch Winter Wonderland brings the whole family into the holiday season with thousands of colorful lights, special food offerings, and of course, Santa. Dutch Wonderland is filled with activities for all families. Start planning your Dutch Wonderland trip today! Day tickets and passes are available for purchase online or at the gate. Check out Dutch Wonderland's kid-friendly events. If you are visiting with a large group, Dutch Wonderland offers special discounted rates for group sales to make your trip even more special. On specific days, find family discounts on tickets to Dutch Wonderland. Enjoy a day of rides, shows, dining, and local family fun. Looking for an exciting job with awesome perks in Lancaster, PA? Dutch Wonderland is now hiring! Celebrate someone’s special day at Dutch Wonderland with our birthday party packages, for just $6.99 per person. Enjoy 2 combo meals plus 1 snack each visit during the 2019 Summer Season! Payment plans are available!